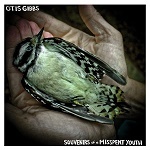 FTB Show #271 features the new album from Otis Gibbs called Souvenirs Of A Misspent Youth. 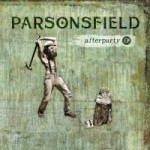 Also new music from Cory Branan, Melissa Ruth, John Cowan and Parsonsfield. Here’s the iTunes link to subscribe to the FTB podcasts. Here’s the direct link to listen now! Here’s the RSS feed: http://ftbpodcasts.libsyn.com/rss. Freight Train Boogie podcasts also air weekly on RootHog Radio and on Rob Ellen’s Flyinshoes Review. You can buy the Freight Train Boogie Americana Android App from Amazon for a mere $1.99. This entry was posted in Americana Music, Americana Music podcast, Folk Allaince, Music, podcast, roots music and tagged CORY BRANNAN, DANIELLE WOODROW, JOHN COWAN, MARK ERELLI, MELISSA RUTH & THE LIKELY STORIES, OTIS GIBBS, PARSONSFIELD, TATTLETALE SAINTS. Bookmark the permalink.